The Challenger explosion not only killed seven of America’s finest but shattered confidence in the space program. Each successive launch disaster has emphasized the failure of a nation’s will. Only one group has delivered a comprehensive report to the White House presenting reasonable and affordable solutions to America’s spacefaring crisis. The Citizens’ Advisory Council on National Space Policy recommends bold new actions regarding the present Shuttle fleet and the possible replacement of Challenger. The Council Report contains specific legislative recommendations that would turn loose the engines of free enterprise to drive down the cost of routine access to our newest frontier. The Commercial Space Incentives Act is a return to government methods which gave us Continental railroads to open the West and the rapid growth of the aviation industry which transformed our world into a global community. Those are the words of the Executive Summary of the Citizens’ Advisory Council on National Space Policy. At a time when the President has rejected the recommendations of his own Senior Interagency Group on Space, and the Roger’s Commission would resolve only the technical and managerial problems of the space program, the Council Report provides a broad spectrum of solutions worthy of widespread public support. The Council was created in 1981 by joint action of the American Astronautical Society and the L5 Society for the purpose of developing a detailed and technically feasible space policy to further the national interest. It is a private group made up of a broad range of interested and informed citizens. The Council has in the past published reports that have had considerable influence on national space policies. It met most recently May 9-11 of this year. The purpose of the Commercial Space Incentives Act is to make the United States a spacefaring nation as promised by President John F. Kennedy in 1961. Spacefaring means that private citizens of the United States should have meaningful chances at personal access to space for themselves or their experiments and equipment. Space travel should be as accessible to Americans as air travel. The Act is intended to stimulate private enterprise to develop low-cost space launch capabilities without having to compete with government space systems. The heart of the act is its incentive structure: The United States would guarantee every year to pay $500 per pound for the first one million pounds placed into orbit by private US companies. An orbital payload must be at least ten thousand pounds. When a company believes it has the capability to put 10,000 pounds or more into orbit and does not have a private customer for that launch opportunity, it notifies the Secretary of Commerce no less than six months in advance. The Secretary notifies all government agencies. If no government agency can take advantage of the launch opportunity, the launching company may contract for the launch of any payload with any private US firm. If a launch services company has a private company as a customer for a payload and payment of at least $500 per pound is forthcoming, the United States would have no further obligations regarding that launch. If payment is less than $500/pound, the United States would pay the difference if the payload is successfully placed in orbit. If no payload is available from the government and no private space company steps forward with a payload to launch, the launching company may launch any equal payload it cares to put up. Water would be an acceptable test payload, for example. If and only if the payload goes into orbit, the United States would pay $500 per pound. The United States has no obligation if for any reason the payload doesn’t go into orbit. Under the provisions of the proposed Act, the United States pays only for success in space. The United States receives no apparent benefit from orbiting sand or water. But the people of the United States gain great benefits from the existence of launch systems that can orbit a payload of at least 10,000 pounds at a cost of $500 a pound or less. The purpose of the act is to provide incentives for private firms to develop such capability and demonstrate success, not to put payloads into orbit. Clearly no one wants to trust a valuable satellite to a launch company with no track record of performance. But probably only untried new companies and/or untried new launch systems can bring launch costs down to a level of $500 per pound or less. The Act guarantees that an untried new company and/or launch service has the chance to be tested at minimum risk. If the new system succeeds in putting only water into orbit, the company gets paid for it and has also demonstrated to potential customers that it can perform successfully. But it doesn’t get paid if the launch fails, which is an incentive for the company to build success and reliability into the system in the first place. The Act would not reward sloppy work. One million pounds is about what the Soviet Union launches every year. Five hundred dollars per pound is about 10% of NASA’s present real costs; analysts have estimated that many new space industrial processes can be made profitable once launch costs are reduced to this level or below. Ten thousand pounds is a useful scientific, commercial, or military payload weight; it guarantees that the United States will develop the capability to do many large and useful things in space at lower cost. These numbers ensure the development of regular space access; it would take a hundred launches of 10,000-pound payloads to reach the guaranteed limit of a million pounds per year, less if the payloads are heavier; but the ability to launch heavier payloads is also a worthwhile national asset. Ten years is enough time; if the Act hasn’t done its job by then, it probably never will. Payloads should certainly be inspected to ensure public safety. Clearly, private firms should not be allowed to launch spacecraft that would be hazardous to life or property. Therefore, launch vehicles should be inspected only to ensure that they would pose no un¬reasonable potential extraordinary hazard. It is not the business of the government to deter¬mine whether or not the technical approach of a new launch vehicle system will work, but only to find if it might fail dangerously. However, space vehicles are in fact less hazardous than large aircraft. At least three private engineering/development firms have stated their intent to develop new launch systems and compete for the payments under this Act if passed. The potential benefits are enormous. The potential costs are relatively small and fixed. If it doesn’t work, it costs us little or nothing. The proposed Commercial Space Incentives Act is based upon other highly successful government incentives to development of high technology transportation systems in the past — the Pacific Railroad Act of 1862 and the Kelly Bill of 1925, for example. It also has features simiar to the Military Airlift Command’s ability to contract for private commercial airlift transportation. The Kelly Bill was enacted in 1925 to “encourage commercial aviation and authorize the Postmaster General to contract for airmail service.” Prior to that time, the United States lagged far behind the rest of the world in the development of commercial aviation and the Post Office was trying to fly the mail itself. Within a year of starting in 1919, the Post Office lost 31 of its first 40 pilots. The passage of the Kelly Bill authorized payment of as much as 80% of the mail revenues to air mail carriers. It resulted in more than 5000 applications by fledgling airlines within two months. The entire United States airline industry, the largest in the world, was initiated by the Kelly Bill. The major restraint on the development of the private space launch services industry today is not the perceived high cost of space transportation. Many studies have shown that private operations might reduce payload launch costs by at least a factor of five. 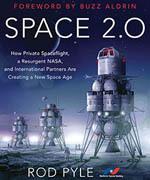 The embryonic private space launch industry can¬not obtain financing or venture capital because financiers cannot see a market for pri¬vate launch services in competition to the heavily-subsidized government launch services The primary purpose of the Commercial Space Incentives Act would be to provide a guaranteed government market for the critical first ten years of the private space launch services industry. But the government would be purchasing only success and performance. The Commercial Space Incentives Act permits the government to phase space transportation over to private launch services at minimum cost (no cost if it doesn’t work) and with minimal impact upon existing government space transportation vehicles and organizations. The short-term and long-term solutions to the problems of an effective American space transportation system rest with the greater involvement of the free enterprise system. Certainly the policies of the last 25 years haven’t worked. 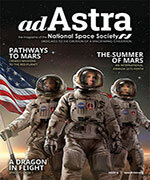 The Commercial Space Incentives Act would permit the United States to try free enterprise. It will probably work. It’s worked in the past. We should give it a chance in space. To facilitate private commercial space launches. (4) the development and operation of private launch vehicles and services would be encouraged by the guaranteed use of these services by the United States Government, thus providing financial incentives for private investment in ventures leading to low-cost and high-reliablity space services. (3) to require and permit the United States Government to avail itself of low-cost, high-reliability private space launch vehicles, facilities, and services. (a) “Launch Services” shall mean the launch of payloads for military, scientific, civil and commercial purposes into space in orbits around the Earth and to and around the Moon and other celestial bodies. ( b) “Manned launch” shall mean any launch service that includes the carriage of at least one human being into space and that being’s subsequent safe return to the Earth. (c) “Qualified vendor” shall mean any United States citizen or any partnership, joint venture, business association or corporation controlled and owned by U.S. citizens. (3) receive and disburse the guaranteed space launch payload funds established by this Act. (b) To the extent permitted by law, Federal agencies shall assist the Secretary, as necessary, in carrying out this Act. Sec 6. (a) A Space Incentive Trust fund (“the Trust”) is established to be administered by the Secretary of Commerce (“the Secretary”). (b) Five hundred million dollars ($500,000,000.00) is authorized and appropriated to the Trust for the fiscal year 1987. (c) Suitable funds shall be approproated each fiscal year to ensure that the Trust has adequate funds to satisfy payments for the payload weight guaranteed by the government as stated elsewhere in this Act. (d) No funds shall be paid under this Act except from the Trust. (e) At the end of fiscal year 1997, any funds remaining in the Trust shall be returned to the general fund of the U.S. Treasury and this Act shall expire. Sec. 7. (a) The Secretary shall offer to purchase for the use of the United States Government each fiscal year one million (1,000,000) pounds of payload placed in space by private launch services. (b) The minimum payload weight the Secretary is authorized to offer to purchase and/or to pay for is ten thousand (10,000) pounds. (c) The Secretary shall ascertain that all Federal agencies shall have availed themselves of the launch services of qualified vendors before said agencies may place such payloads in space on government launch vehicles. However, a space payload may be flown by a government space vehicle if at the time of the intended launch no qualified vendor is capable of placing a payload of the required size or weight into the required orbit or trajectory. (d) The Department of Defense shall not be required to utilize any of the United States Government’s guaranteed annual payload requirement offered by a qualified vendors if, in the opinion of the Secretary of Defense, suitable safeguards relating to national security cannot be maintained. Sec. 8. (a) The Secretary shall authorize for payment all or part of the funds of this Act to a qualified vendor of space launch services who performs in accordance with this Act. (b) The Secretary shall pay funds in the Trust to any qualified vendor who successfully performs launch services on a first-come, first-paid basis, at the rate of $500 per pound of payload placed in orbit. (c) If a successful launch service is a manned launch, then a supplement of an additional $250 per pound shall be paid by the Secretary from the Trust to the qualfied vendor. (d) No funds shall be paid from the Trust until and unless the launch service is successfully performed. In the event that the qualified vendor fails to place the payload in orbit in space, no monies shall be paid to the qualified vendor. It shall be the responsibility of the qualified vendor to prove to the satisfaction of the Secretary that the payload was placed in orbit, and the qualified vendor may utilize the facilities of the United States government to do this at his expense, the cost to be determined by the General Accounting Office. (e) If the Secretary refuses to accept the launch service or abandons the launch service due to delay or otherwise, then the qualified vendor shall be free to launch any payload with the tendered launch service. If the qualified vendor sells the launch service to a non-government party before or after refusal or abandonment of said service by the Secretary, and if the non-government party pays less than $500 per pound for the launch service, the Secretary shall be responsible for payment of the difference to the qualified vendor. If the payload is successfully launched, regardless of who the launch service customer may be, then payment shall be made to the qualified vendor as provided for by this Act. Sec. 9 (a) A qualified vendor shall tender launch services to the Secretary at least six months before the proposed launch date. (b) A qualified vendor may use the services of the National Space launch ranges of the United States on a first-come, first-served basis, at actual cost, as determined by the General Accounting Office. (c) Either the qualified vendor or the Secretary may delay the launch date by up to 90 days without penalty. The Secretary may delay longer than 90 days by paying liquidated damages of 1% of the launch cost from the Trust to the qualified vendor for each day of additional delay, or part thereof. (d) The only review required for launch of any payload launched under this Act shall be the mission safety review required by the Commercial Space Launch Act of 1984, as administered under the regulations promulgated by the Department of Transportation.